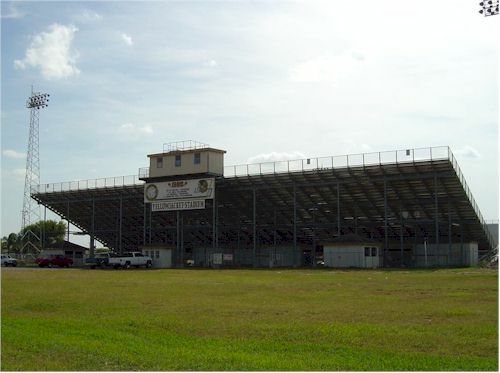 This stadium is the pride of the delta area and is one of the things the towns of Elsa, Edcouch and Monte Alto hold very dear to our hearts. Yellow Jacket faithful purchase General Admission tickets to stand in the corners of the end zone to watch 'La Maquina Amarilla' (the yellow machine) week after week. (August 2011) Stadium renamed Benny Layton Memorial Stadium. Mr. Layton served as the PA Announcer from 1987 until 2010.